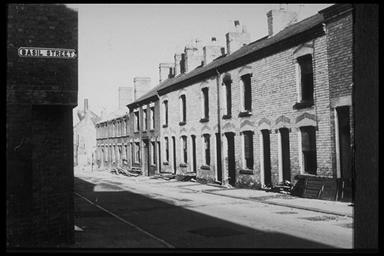 The east side of Farnham Street showing houses nos; 18-54. Photographed during demolition 1970. 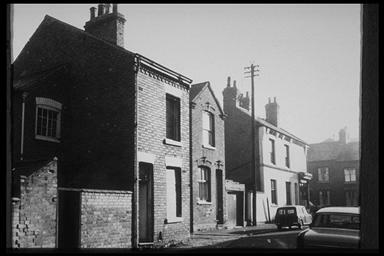 The east side of Farnham Street showing houses nos; 60-64. Photographed prior to demolition 1970. 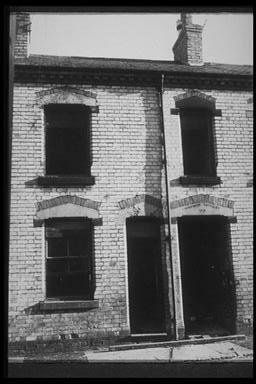 The east side of Farnham Street showing houses nos 24-32. 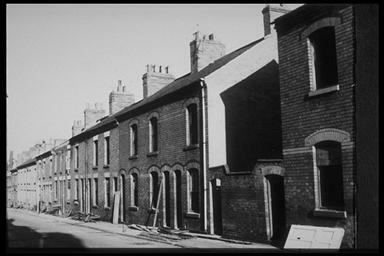 Charnwood Cottages are at the rear of these houses and the entry to them was via the door at the side of the rain water pipe which can be seen running down the house in the centre of the photograph. Photographed prior to demolition 1970. 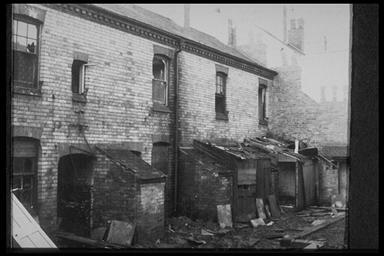 The rear of nos; 24-30 Farnham Street and part of Charnwood Cottages yard. Photographed prior to demolition 1970.